Cape Town - South African Tourism has released tourism performance figures for 2016 with a promising gain in international tourism but a slight dip in domestic travel, coupled with a marked decline in seasonality. According to the data released by South African Tourism, tourist volumes grew by 2.8% compared to 2015 to a total of 34.3 million tourists. Furthermore the data for 2016 shows South Africa’s growth in international tourist arrivals outgrew both its key benchmarking destination Australia and Thailand in year on year growth from all regions. "The data shows emerging markets lead growth, Asia & Australasia growing by 8.4% and Africa growing by 8.1% from 2015. Sub-Saharan Africa grew by 10.7% from last year and South Africa was the main driver of that growth as it grew in double digits by 12.8%, to reach over 10.0 million tourists in 2016." 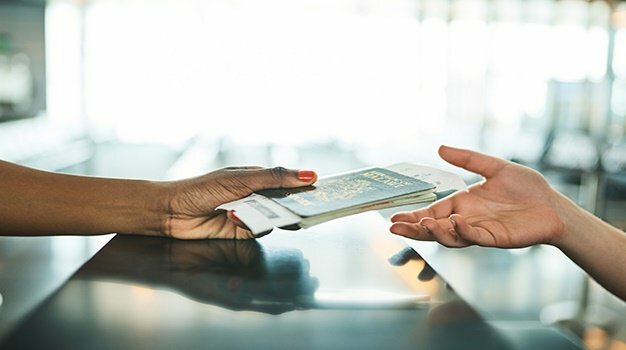 Domestic tourism although declining, remains the biggest contributor and is more than double the size of the international arrivals, says SA Tourism. Some 24.3 million domestic tourists took trip in 2016, 0.8% down when compared to 2015. While some 10 million foreign tourist arrivals were recorded for the same period - showing a 12.8% increase year on year. The decline in domestic tourism and ways to stimulate and make it more affordable to South Africans has been a key cause for debate - sitting high on the agenda of South African Tourism’s 2017 Indaba as well the launch of Tourism Month on Wednesday, 26 July. South African Tourism, in a series of public lectures aimed at making tourism a more staple topic in the national economic discourse, will see SA Tourism CEO, Sisa Ntshona engaging with MBA students from the University of Stellenbosch Business School on the challenge of affordability as a barrier to domestic travel 31st of July 2017. SA Tourism says the session is expected to inspire dialogue around current business challenges faced by the industry, and gain insights from some 40 MBA students representing countries such as Germany, France, South Africa and the US. A total tourism revenue of approximately R102.1 billion was injected in the South African economy in 2016. This it says is an 11.1% increase compared to 2015. Almost 70% or R75.5 billion was generated from the international tourist. "Although rand strengthen against the major currencies this did not deter tourist from visiting South Africa and spending patterns," says SA Tourism. The SA Tourism data shows a decrease in the length of time international tourists are spending in SA, around 9 nights as opposed to the usual 12 nights. The average domestic travel trips were slightly longer, at around four nights. While this factor was the main driver of bed-nights growth, which increased to a record high of 192.2 million nights, SA Tourism says the challenge is that majority of those bed nights were spent in unpaid establishments. "Opportunity lies in converting those nights into a formal sector." Overall there was an improvement in the number of provinces tourist visited. According to the data, this was true for both domestic and International tourists - showing a 10% and 15% growth respectively. Geographic spread improved in 2016 for both domestic and international tourists. International tourists also saw an improvement with 15.2% of tourists visiting more than one province in 2016. Limpopo saw the biggest increase at 9.9%, followed by Gauteng by 8.8% of tourist. The Western and Eastern Cape saw a 3.7% and 3.2% increase respectively in 2016. Domestic trips source vs destination province: Western Cape and Limpopo grew in trips to other provinces, while the Northern Cape, Limpopo, Western Cape and Gauteng saw increases in tourists coming into their province. The data shows all provinces saw growth in share of International tourists in 2016 and Free State led growth. Northern Cape was the only province to decline in 2016 with -9.6% less International tourists. Mpumalanga and North West are the only province not to see a dip in 2015 and continued to grow in 2016. Visiting friends and relatives makes up 38.5% of International tourist volume, while Holiday and Business make up 22.1% and 20.8% respectively. These three purposes are 81.4% of all International tourists and any growth or decline has a greater impact on the volume for the province as a whole. However seasonality showed a marked decline at -24% for domestic travel, remaining consistent for international tourists. "For tourism to contribute meaningful to the spread of the economy we need to continue ensuring that this measure improves," says SA Tourism.